In episode 4 of the drama in language teaching podcast I talk to Eva Göksel about her impressions and experiences as a conference attendee and presenter at IDIERI 9, the big drama in education conference that took place in Auckland, New Zealand, in July 2018. THEMPPO 2-day „Winter Workplay“ will take place 21/22 February 2019 in Grenoble, France . „Construisons / Let’s Build” is an intensive theatre workshop leading to a short theatrical creation based on the THEMPPO approach in language teaching. Further information can be found in the attachment. The number of places for this event is limited: pre-register online. 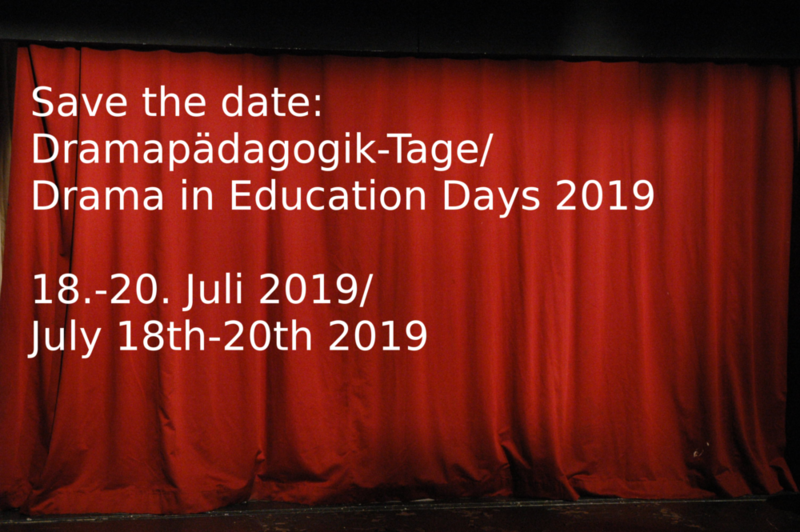 Save the date: Drama in Education Days (Zug or Konstanz): 18-20 July 2019. More information to come soon. Introducing applied improvisation as a non-formal educational methodology in both formal and informal educational settings Cross sectoral seminar for Youth and School Education sector participants. Learning Languages: Innovation and Creativity“. TESOL Kuwait Conference Flyer, 2019 Contributions on drama in language learning are welcome! 44 Aussprachespiele Deutsch als Fremdsprache.